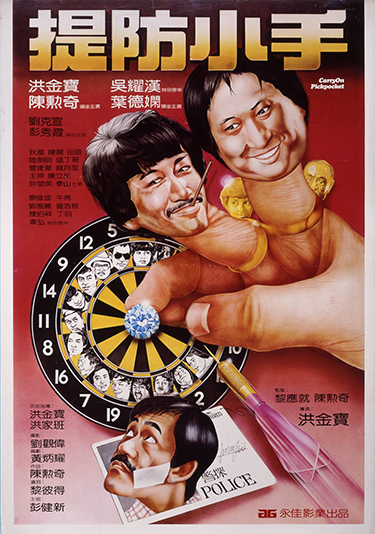 Action-comedian Sammo Hung stars as Rice Pot, a highly skilled pickpocket who falls in love with a beautiful female police inspector, Ling (Deannie Yip). The inspector decides that she will overlook Rice Pot’s prodigious list of legal offenses if he and his gang of thieving buddies assist her in an ongoing case by recovering a pouch of stolen diamonds from a gangster’s courier. Before long, Rice Pot soon discovers what Ling is really up to and finds himself running for his life from the disgruntled mobsters.